Ayurveda is now universal and has spread to every corner of the world necessitating the publication of important Ayurveda texts with English translation. The big trio and the small triobrhatrayi and laughtrayi are important and popular workds of Ayurveda. Caraka Samhita, susruta Samhita and Astanga Hrdaya are called brhatrayi. These classic works deal in detail with the fundamental principles, philosophical background and theoretical aspects of ayurveda and among the three. Caraka Samhita and susruta deal with stress on general medicine Kayacikitsa and surgery salya respectively. The third Astanga hrdaya deals with all the eight branches of Ayurveda with details required for Ayurveda scholars and practitioners. While Caraka Samhita and susruta Samhita are in a mixture of prose and verse, Astanga hrdaya is in verse facilitating memorization. It has been very popular throughout India and also in other countries since its compilation. 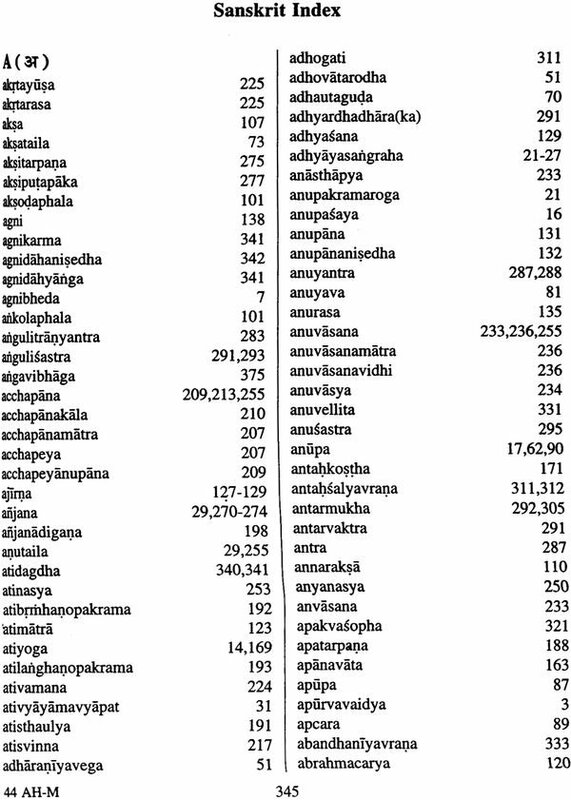 There are more than fifty commentaries in Sanskrit on Astanga Hrdaya, apart from those in regional languages showing its popularity, theoretical and practical value. The presentation of topics is neither too brief nor too elaborate and is appreciated by all. Astanga Hrdaya is divided into six sections sthanas. I. Sutrasthana dealing with theoretical Principles. 2. Sarirasthana anatomy. 3. Nidana –diagnosis. 4. 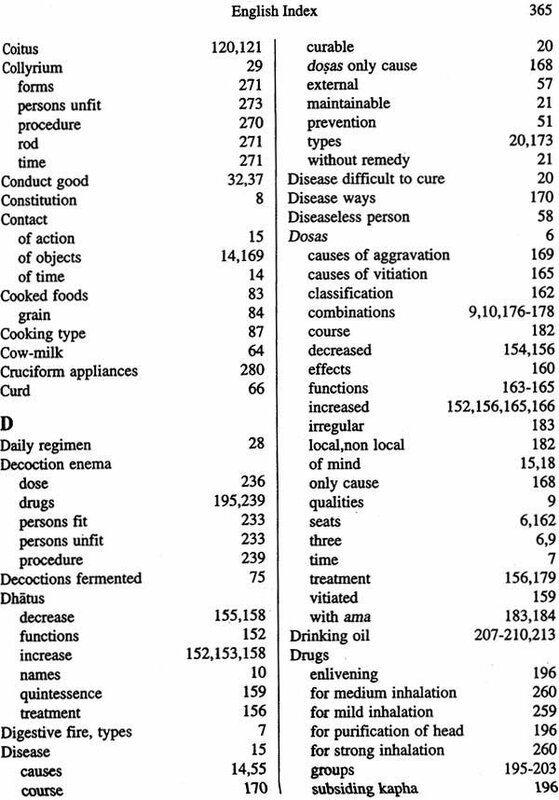 Cikitsa-treatment of general diseases. 5. 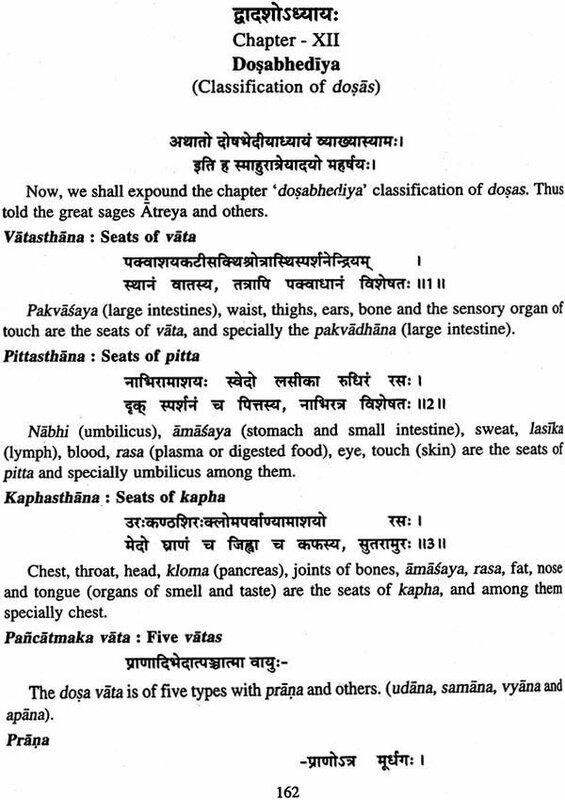 Kalpasiddhi of recipes. Purificatory procedures etc. 6. Uttarasthana remaining seven branches. Thus all the subjects of Ayurveda are dealt with in 120 chapters in a lucid manner without complicated arguments and discussions. Dr. Bhagavatam Rama Rao, born in Medak (Telangana) in 1937 is a graduate in ayurveda and Telugu and a post graduate in Sanskrit from osmania University, Hyderabad. He is a profound scholar in Sanskrit in Sanskrit, Telugu and Ayurveda and is also well versed in English and Hindi. He worked for a long time in Indian Institute of History of Medicine, Hyderabad in different capacities and as director for more than two decades. During his tenure in IIHM he contributed immensely for the development of the research activities and also of Museum and others pertaining to the history of Medicine in Indian in general and history of Ayurveda in particular. He collected information relating to health and medicine from non-medical sources like kavyas, puranas, inscriptions, archaeological sources and travellers’s accounts etc. He also served as the in charge of Dr. A. Lakshmipati Research Centre for ayurveda and Literary research Unit in Chennai and retired as the director of Indian Institute of Pachakarma in Kerala and thus gained experience in different fields of Ayurveda. He later worked as the principal of Dharma Ayurveda College, Sriperumbudur, Tamilanadu. Another important contribution of Dr. Rao is the collection of information and study of palm leaf and paper manuscripts particularly of Ayurveda in Sanskrit and Telugu. 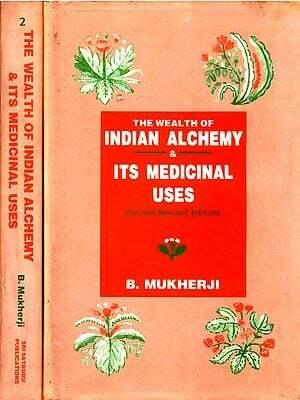 He brought to light several unknown valuable works on ayurveda and allied subjects. He is associated with many institutions like National commission for History of Science Editorial Boards of Indian Journal of History of Science, Research Council of Indian National Science Academy and Central Council for Research in Ayurveda Science. Astangahrdaya by Vagbhata is a popular treatise of Ayurveda. It is one of the three big compendia called Brhat-trayi, the other two being Carakasarnhita and Susrutasamhita. 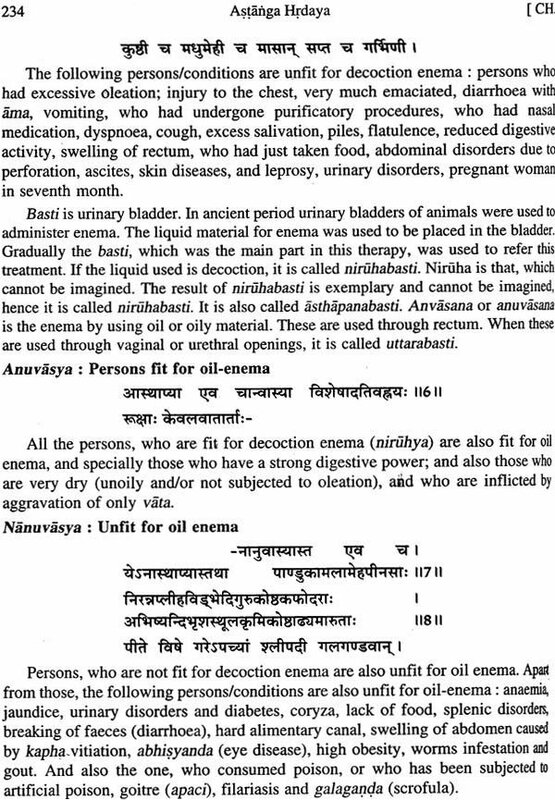 Though ancient classics of Ayurveda deal with all branches and topics, it is said that Carakasarnhita predominantly deals with medical treatment while Susrutasarnhita deals with salya or surgery. But Astangahrdaya, as the name itself suggests, explains all the eight branches and topics, with more stress on Sutrasthana (theories and fundamentals) in a lucid manner in verses to the extent required for a good practitioner. In Indian literature, more than ten books are known as composed by Vagbhata. 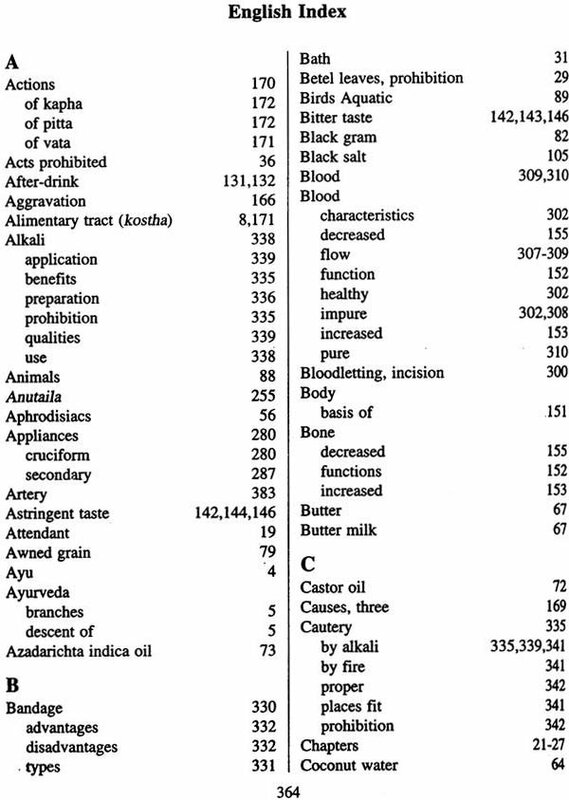 Among them Vahatanighantu, Astangahrdaya, Astangasangraha, Vamanakalpa, Padarthacandrika, Vagbhatakosa and Rasaratnasamuccaya appear to be Ayurveda works. Vagbhata I or Vrddhavagbhata, Vagbhata II or Vagbhata, Madhyavagbhata and Rasavagbhata are the four authors known in Ayurveda literature. Of the above four, Madhyavagbhata is known from the quotations in Ratnaprabha commentary by Niscalakara of Cakradatta and there are no other evidences to support this. Rasavagbhata is the author of Rasaratnasamuccaya and is definitely different and later than the authors of Astangahrdaya and Astangasangraha, which are much earlier to Rasaratnasamuccaya. 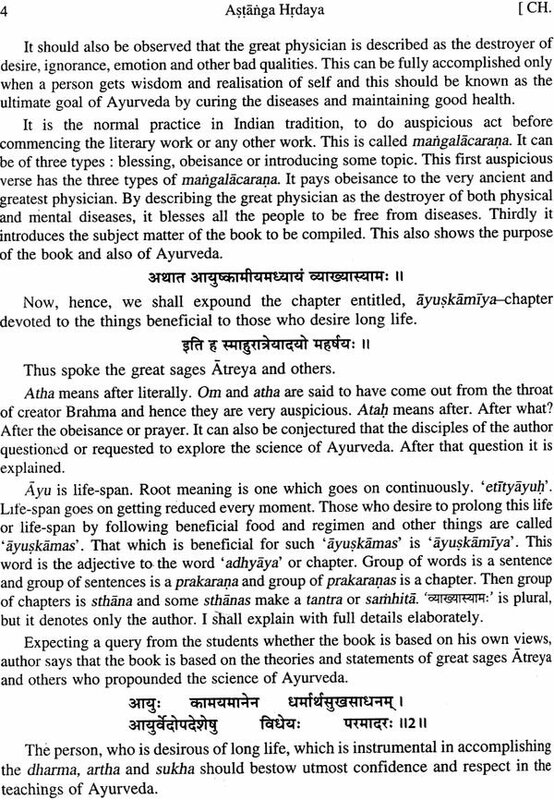 The identity of authors of Astangasangraha and Astangahrdaya is controversial. I. Sarma, P.V. : Vagbhatavivecan-a comprehensive work on Vagbhata in Hindi by Prof. Priyavrat Sarma. It deals with all aspects of Astangasangraha, Astangahrdaya and Vagbhata based on internal and external evidences; 1968, Varanasi. 2. Sarma, P.V. 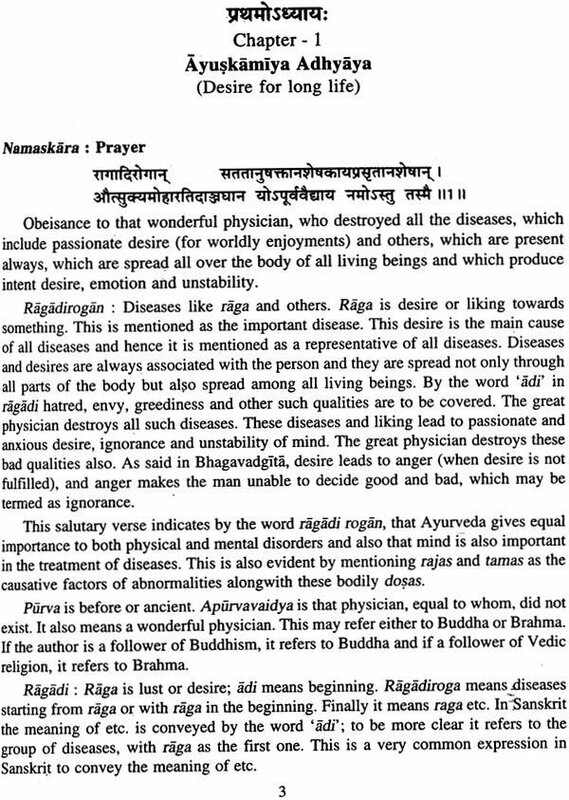 (ed): History of Medicine in India, article on Vagbhata by B. Rama Rao, pp. 205-221, Indian National Science Academy, ] 992, New Delhi. 3. Vogel, Claus : Vagbhata's Astangahrdaya, English translation of Tibetan version Wiesbaden, ] 965, Introduction. 4. 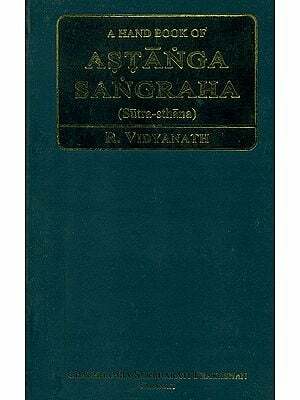 Astangasangraha : Vol.-I, English translation by K.R. 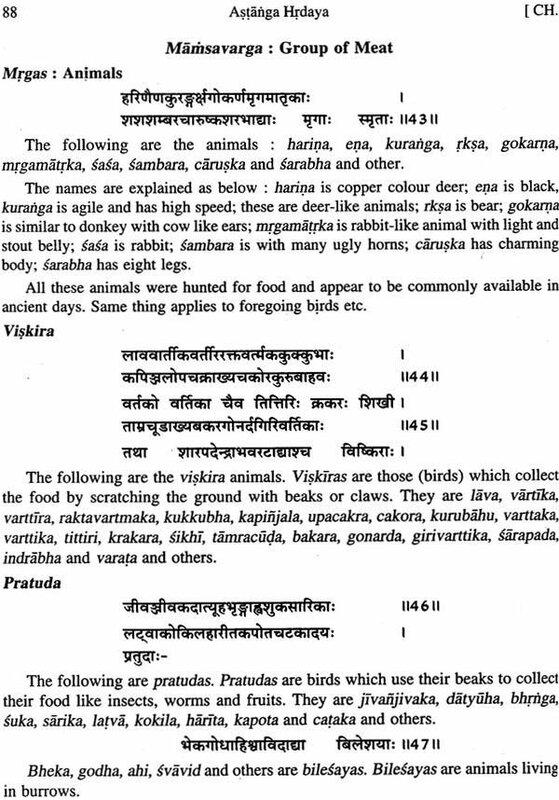 Srikanthamurthy, Introduction; it briefly discusses all points regarding identity of both Vagbhatas, Astangasangraha and Astangahrdaya; Chaukhambha Orientalia, 2002, Varanasi. 5. Sarma, P.V. : Ayurved ka Vaijfianik Itihas in Hindi 1975, Varanasi, pp. 172-193 (relevant passages). 6. Meuleabeld, G.J. -: A History of Indian Medical Literature, Vol.-lA & IB, relevant passages, Egbert Forsten, 1999, Groningen. 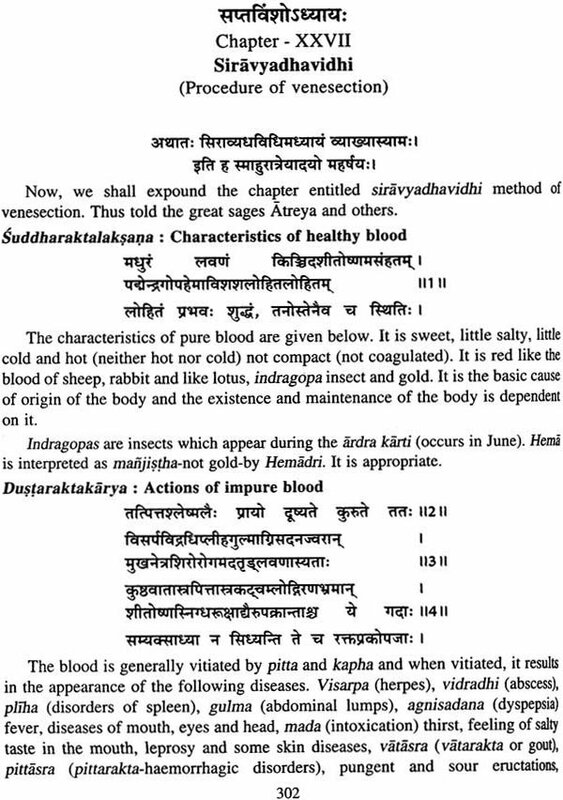 The following verse of Astangahrdaya states that it is a summarized form of Astangasangraha : A big heap of nectar has been obtained in the form of Astangasangraha after churning the big ocean of Ayurveda with eight branches; from this a separate treatise has been evolved in the present form and it is for the satisfaction and pleasure of those who are capable of undertaking only limited efforts: but gives significant result. 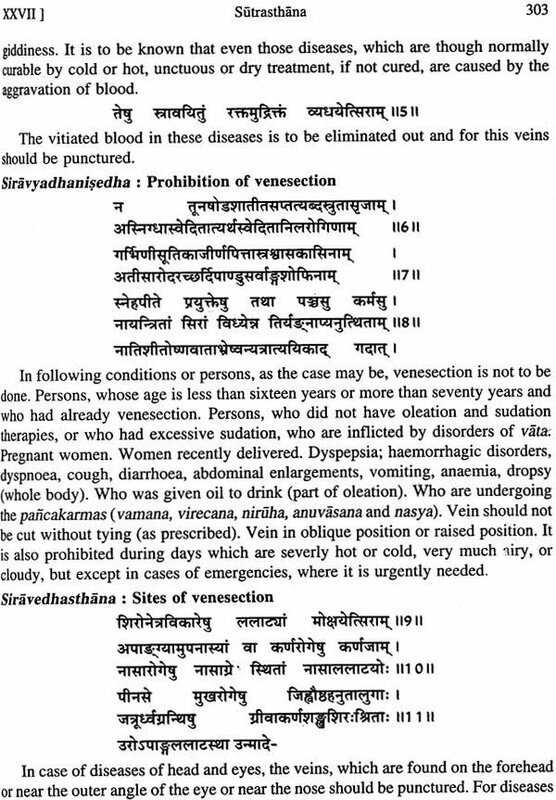 By this statement it is inferred that Vagbhata compiled both Astangahrdaya and Astangasangraha. A summary of different important views about the identity of both Vagbhatas is thus. 1. Both are sons of Sirnhagupta. 1. Information about the author is not given in Astangahrdaya as in Astangasangraha. 2. Language and style appear different and Astangahrdaya appears to be of a later age. 4. Influence of Buddhism appears to be more in Astangahrdaya. 5. Astangahrdaya is only in verse while Astangasangraha is in verse and prose. 6. Vijayaraksita, Dalhana, Hemadri, Srikanthadatta and some others quoted verses from Astangasangraha referring the author as Vrddhavagbhata. This view is supported by Keith, P.K. Gode, Cordier, Hariprapanna Sastry, P.V. Sarma and others. Astangahrdaya was popular not only in India but also in other countries. It was translated into Tibetan as early as 8lh c. AD. Muslim attacks started from T" c. AD. onwards and after that the possibility of compilation of such authoritative work in Sindh region was remote. Important evidence is the reference by the Chinese traveler Itsing. He mentioned that 'recently the eight branched medical system had been epitomized in one compilation'. All agree that it refers to Astangahrdaya, Jejjata of 9lhC. AD. mentions himself as the disciple of Vagbhata. Madhavanidana quotes from Astangahrdaya and this becomes the later limit i.e. 7lhC. AD. Both of these - Astangahrdaya and Madhavanidana - were translated into Arabic in 8thc. AD. Astangasangraha mentions Sakas at many places and Sakas ruled only up to the end of 4thc. AD. The social, religious, political, literary and other aspects as gleaned from the works are similar to Kamasiitra of Vatsyayana, Arthasastra of Kautilya and also works of Varahamihira. Thus Astailgahrdaya and Vagbhata can be placed in 6lhC. AD. 1. Sasllekha or Indumati by Indu. This has been published from Tripunithura by the Sanskrit College Committee, edited by K. Achyuta Poduval and CK. Raman Nambiar. 1. Astailgahfdaya with Sarvangasundara and Ayurvedarasayana; collated by Kunte and Navre and edited by Paradkara, Chowkhambha Sanskrit Series Office. 1982, Varanasi. 2. Astangahrdaya : English translation by K.R. Srikanthamurthy, Chowkhamba Krishnadas Academy, Varanasi, 2004 (in three volumes). 3. Astangahrdaya-Sutrasthana with Sarvangasundara and Hindi translation by Atridev, Chaukhambha Orientalia, Varanasi, 1996. I kept in my view the students, teachers and scholars who are not very much conversant with Sanskrit language. I tried to be nearer to the original by giving related required words in parenthesis for better understanding and following the original. Some Sanskrit words are used in the nominative form instead of the root (pratipadika), like slesms in place of slesmeti. Words in feminine gender ending with a are used with a also. All Sanskrit words are printed in italics and two indices are added, one in Sanskrit and the other in English, for easy reference. Glossary is added for the names of herbs and diseases. My thanks and blessings to my daughters Smt. K. Sridevi and Smt. P. Sricharana Prasadita and my son-in-law Shri P. Gopalakrishna Kumar, who prepared the indices and the glossary. I am thankful to the Chaukharnbha Visvabharati, Varanasi for encouraging me to take up this work and printing it nicely. I hope this will be received well. Every care has been taken to print correctly the Sanskrit words in Roman with diacritical marks. The long vowels at the end of a word (e.g. a. 1, u) are not strictly followed. At some places short vowels are used. Index in English is given only for side headings in the text. 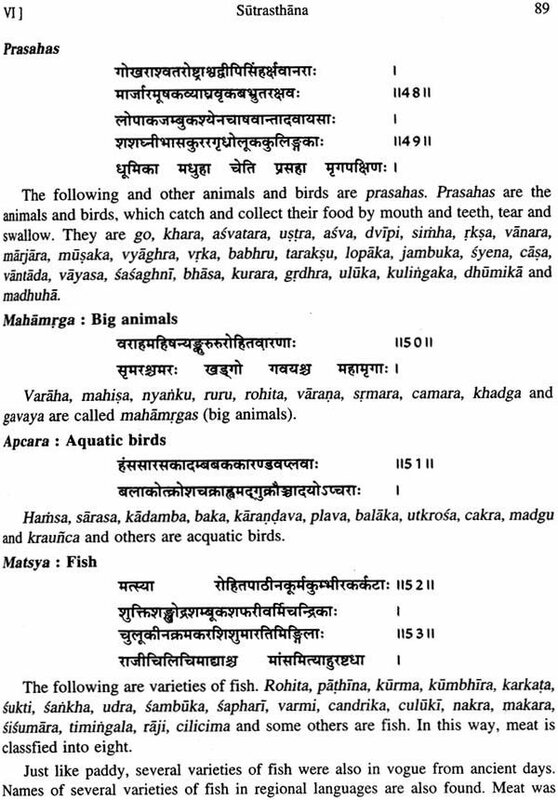 Sanskrit Index is elaborate and in Sanskrit alphabetical order. It is hoped that it will be useful to readers. Glossary is given for the drugs of plant origin and some minerals occurring in this volume. 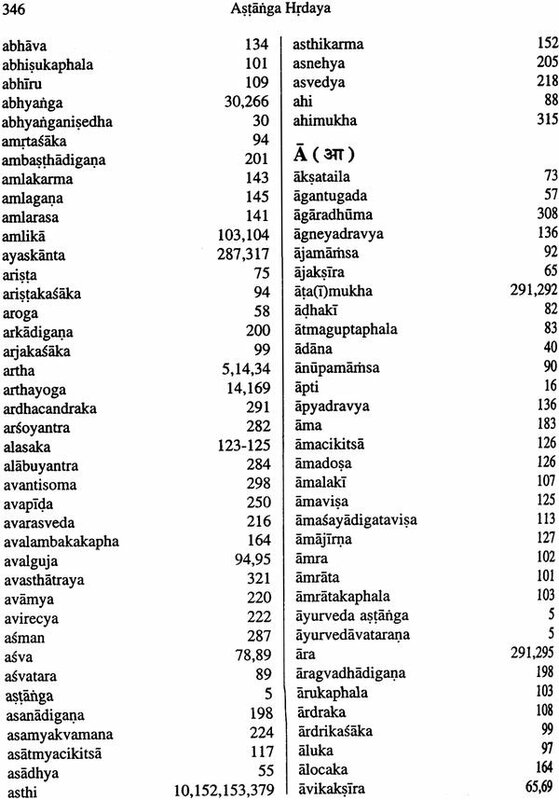 Index of equivalent modem names for the names of diseases in Sanskrit is given in the third volume. Readers are requested to consult all the three indices for reference of any word.